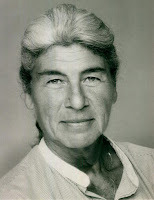 Jacqueline T. Babbin was an Emmy-winning pioneer among women in the field of television production. Born in Manhattan in 1921, Ms. Babbin started high school at age 11, and Smith College when she was only 15. She began her career working for a literary agency, but moved to television in 1954 becoming a script editor for David Susskind’s production company, Talent Associates. There she was soon writing TV adaptations of stage plays, including Our Town, Ethan Frome, Billy Budd, and Harvey. She moved to producing, becoming one of the first women to be a head producer, and leading such acclaimed series as Armstrong Circle Theater and The DuPont Show of the Month. With Mr. Susskind’s company, she produced many top TV specials including Hedda Gabler (1963) with Ingrid Bergman and Michael Redgrave and The Crucible (1967) with George C. Scott, Colleen Dewhurst, and Fritz Weaver. Her 1976 TV movie Sybil, about a woman with multiple personality disorder, starred Sally Field and Joanne Woodward; it won both Emmy and Peabody awards for her and a total of four Emmys, including one for Ms. Field. “Jackie, next to me, you’re the best TV producer I know, ” Susskind once told her. ABC hired her in 1979 as a vice president in charge of bringing novels to television through mini-series, including Inside the Third Reich, Masada, and The Winds of War. By then she was working in California, but in 1982 she grabbed the opportunity to return to New York by producing the popular soap opera, All My Children. “She helped enliven the tired soap opera formula with fast-moving stories of adventure and international intrigue,” said the Paley Center for the Media. The two moved to Kent where Babbin, who retired in the early 1990s, wrote two mystery novels, Prime Time Corpse and Bloody Soaps. She died in 2001 at the age of 80. Ms. Trahey had died a year earlier.